I’m trying to download the ospi preConfigured SD card image, but the download stops midway through. Do you have an alternative download site? The file is hosted on Google Docs. We do not provide alternative download site. Just try again. Also, you may want to check if your Ethernet connection is reliable. If not, use software like flashget which can resume the download after disconnection. I have tried everything to get my WIFI USB dongle to work with the pre-configured image but have had no success. Before trying to use this OS image I was using the latest Raspbian distro and had no problems using my WIFI USB dongle. I’m using the Edimax EW-7811Un 150 Mbps Wireless 11n Nano Size USB Adapter. I have tried “sudo apt-get update”, “sudo apt-get upgrade”, and manually replacing drivers. Any help is appreciated. Did you set the WiFi user name and password? If so, how did you set it? If I understand your question correctly, I tried used the WIFI Config tool that shows up on the desktop. This is how I setup the WIFI on the standard Raspbian release and I was successful. In the OSPi version of Raspbian the WIFI config tool doesn’t seem to detect my WIFI dongle. I haven not tried the WIFI config tool, but I can’t think of any reason why it wouldn’t work. Have you tried to edit /etc/network/interfaces directly with your WFI ssid and password? That worked for me. I am having the same problem. I bought the miniature dongle from Adafruit and can’t get it to work with the disk image. It does work with the standard NOOBs release so I’m pretty sure that the drivers are not in this image. I tried to set it up both ways; the wifi config on the x desktop doesn’t find the dongle and editing the interfaces file leaves me with “no DHCP offers received”. Being a real NOOB I’m not sure how to add those drivers. Any thoughts? I don’t have the Adafruit dongle so unfortunately I can’t test it right away. Since OSPi pre-configured image uses raspbian, you may want to check if there is a raspbian driver for the dongle. Alternatively, you can also use NOOB and install the OSPi software yourself. It’s pretty straightforward, with basically just a couple of Git clones. Can you tell me which Git clones I need? I have a 16 gig card with NOOBs on it and I’d like to try it. Same problem here. Had to manually edit network interfaces as Ray mentioned. Got the edimax to work. Unfortunately it would intermittly drop the network connection and I would have to reboot the RPi to restablish the connection. I gave up on wifi and went to powerline network adapter. Works great, Mounted whole setup under crawl space and have not lost a network connection since ( four weeks so far). OK, thanks for the feedback. The WiFi distance and signal strength may cause disconnection problems. But a powerline network adapter as you said is definitely more reliable. I had a similar issue with my Tenda, but manually editing the config file worked for me too. Everything I’ve read about RasPi USB ports is “Just use a hub with separate power instead”. It could just be a brownout issue. I would add, since I didn’t see it mentioned here, that the new case requires a micro-SD card to be able to fit the cover on. It was shipped with an adapter for the pi. Any recommendations on which brand to purchase? Thanks for the comment. 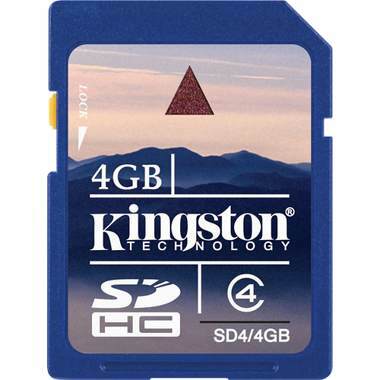 The microSD card is mentioned in the OSPi v1.4 user manual. I’ve now also added a note above about OSPi v1.4. The minimum requirement for the microSD card is that it should be at least 4GB in size. If performance matters, get the SanDisk Ultra (class 10); otherwise the much cheaper Kingston class 4 microSD card also works. Is there a way to update to the latest OSPi without downloading the whole image? Do I just need to do a git pull in the main directory and also in the interval program directory? You can do a git pull in the OSPi directory. There is no need to burn the image again — the image is for first-time users. Thank you indeed for the pre-configured SD card image. Maybe you might consider the possibility to add the SHA1SUM of the image. In this way, anyone could check if the downloaded image is OK or not. I hope it’s the correct value! Yup, your checksum is correct. I’ve added SHA1SUM and MD5SUM above for users to easily check. Thanks for the suggestion. I guess there are 2 mistakes. 1: you wrote SHASUM instaed of SHA1SUM. 2: MD5SUM and SHA1SUM hashes are the same. Isn’t shasum the command you run in Linux to get sha2sum? About md5: it’s fixed now. Thanks. Yes, shasum is the command you can use in Linux terminal. I’ve always used sha1sum or sha256sum or sha512sum commands. As you can see, the algorithm 1 is the default one, so shasum or sha1sum commands give the same hash. Actually you should specify which algorithm has been used alongside of the hash. Writing SHA1SUM: d96f03d0c5249516cc929980c4558fb838bd7d78 is more correct. OK, that’s good to know. I’ve changed it to SHA1SUM. I am trying to build up a fresh SD card for my system, but I have download the above image 3 times now and every time I try to extract it I get a unknown archive or folder error. I have tried WinRar and 7zip with the same result (on a windows 7 machine). What have I missed? Did you check your the checksum to see if the file may be corrupted? Also, as noted in the beginning of the page, do not download the file on this page, instead, use the file download link in the updated user manual. I was using the wrong link.